Well, I lied… I didn’t actually eat the leftover beef stew for lunch (or breakfast) today, because I ended up making fish. With my hubby home today, I ended up doing a big lunch, and we’ll eat leftovers for dinner. 🙂 I will now have to fight him for the leftover stew though! Since I wanted to blog about fish, and had some leftover in the freezer to use, I figured it was a win-win. I am very super fortunate to have parents who own a restaurant, and offer for me to order food at wholesale prices through their suppliers. 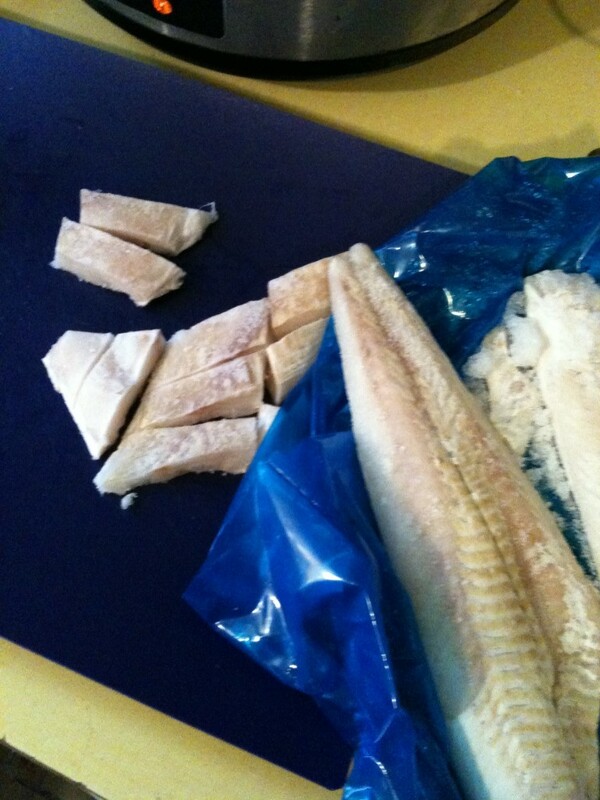 We divide up 30 pound boxes of boneless skinless chicken breast, or frozen haddock, amongst the family. 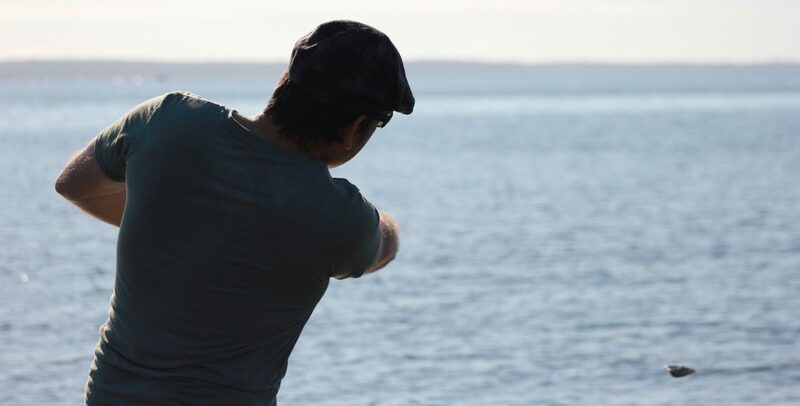 Now, I don’t actually eat fish. This is truly the only way the kids and I eat fish. But it’s tasty, and a nice change of pace from chicken (we don’t do very much red meat). (I also follow this same recipe with chicken though!) It’s healthier and cheaper than buying frozen fish sticks that are allergy free. And of course WAY healthier than the other fish sticks you can buy, although not as cheap. It’s the bread crumbs that push up the price. 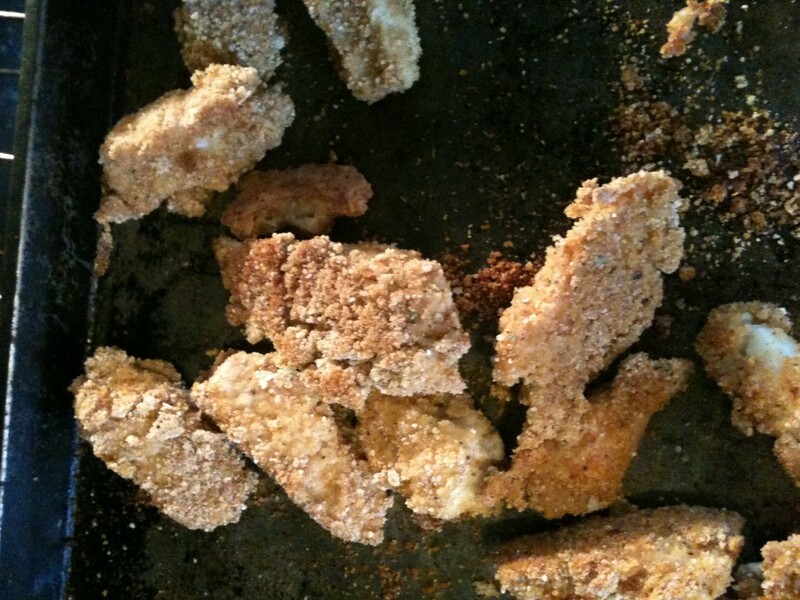 When I was baking bread all the time, I made my own bread crumbs from stale bread pieces, heels, etc. But they were NEVER as good as these bread crumbs*. I then dip the pieces into either egg, or a ground flax/water mixture. (I use the ground flax most often. Today was actually a combination of both). I then bake them on a lightly greased cookie sheet at 375 until crispy on the outside and cooked through. (The time depends on how frozen they still are.. but I think the average is around 20 minutes). I do flip them after about 12 minutes or so, to help the other side brown. My new favorite dish is Fish Tacos! You can try them with your breaded fish, many restaurants do them that way. Add slaw of some type, with or without dressing. Then a tastey salsa, fruit ones are great, need a bit of heat…..Oh yeah! Best so far? McSeagulls restaurant in Boothbay harbor. Haven’t found a worst yet, maybe because I’m usually hungry. 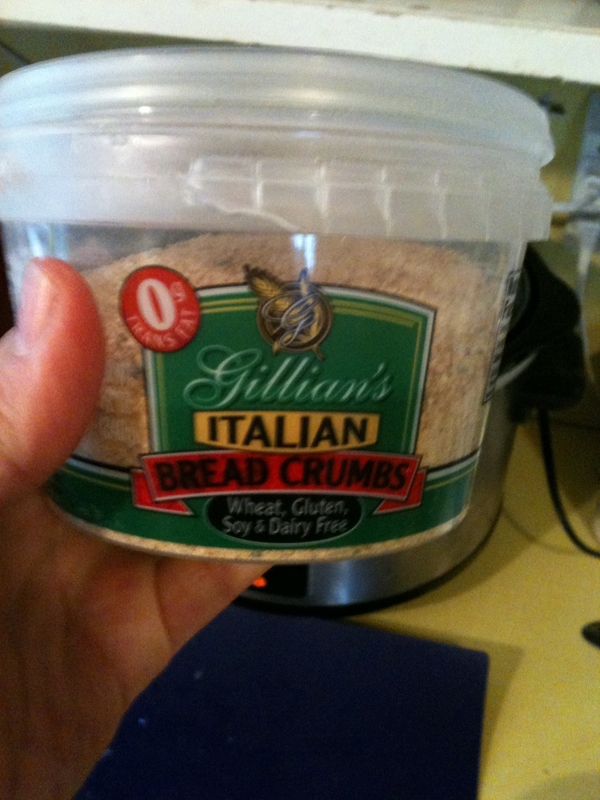 I haven’t tried any commercial GF/DF bread crumbs, so i am glad to hear your thoughts on them! and I really do like when it’s fish night!